Learn more about the mobile app that allows you to access our catalog from your mobile device! This mobile app for your Android or iPhone/iPad/iPod Touch gives you instant access to the library catalog from your favorite mobile device. Search for books, DVDs, CDs and more! Use your mobile device to reserve a popular title, renew items, read reviews, and even see a list of "What's Hot" at our library. You can access "My Items" at anytime to manage your account and bookbags. Want to know if a new release is available or on order? While you are at your favorite book store, use the "Scan ISBN" feature to capture the ISBN located on the physical item. When an item is found, the full details are displayed with the item status and availability at your library. Download the app from GooglePlay or iTunes today! Instructions to download and configure Atriuum On-the-Go for Android devices. Instructions to download and configure Atriuum On-the-Go for iPhone/iPad/iPod Touch. 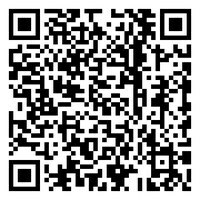 Scan the QR Code below to help configure your app!